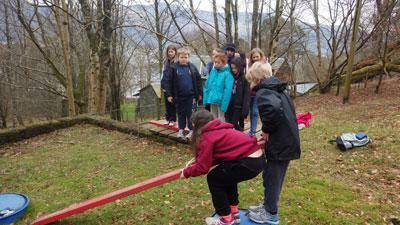 Years five and six children arrived at school on Wednesday very excited ready for their residential to Hawes End. There were three schools going these were Long Marton, Asby and Crosby Ravensworth. The children were accompanied by Mrs Smith, Mrs Elstone, Miss Hayton and Mr Priestly. When they arrived the sun was shining and everyone was eager to start their first activity. Firstly the children met Mia one of the leaders at the hostel she introduced herself and explained where everything was in the house. The children already knew the name of their room they were staying in so their first task was to find it. 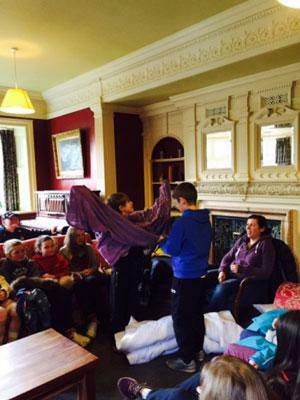 Following this they had to make their own beds that proved a big challenge especially the duvet covers! It was then lunch time the children ate their packed lunches in the dining room. After dinner it was time to get into their groups and meet the adult instructor who the children would have for the next three days. 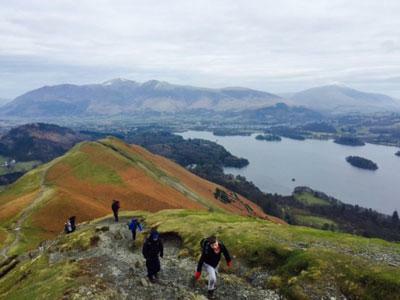 The four activities were Canoe Rafting, Fell Walking up Cat Bells, Ghyll Scrambling and Problem Solving. These lasted for half a day each group got to do all of the four activities. On Wednesday night the children enjoyed their evening meal which was fish and chips followed by jam sponge and custard for pudding. One child from every table went to the hatch in the kitchen where they were given enough food for their table and this job was called the ‘go for’ they would collect the food and share it out between them. The roles were shared out every day and they even helped to wash up! After their meal the children spent time writing their diaries for their very busy first day. They then we went for a walk in the dark using torches, they walked through the wood near the hostel it was very pretty looking over Derwent Water seeing the reflections in the dark when the children turned their torches off. 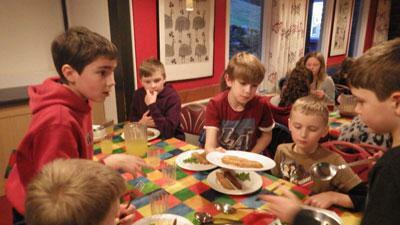 After the walk the children finished their diaries and had a hot chocolate and piece of cake before bed. By this time there were some extremely tired looking children. The lights went out and it was remarkably quiet….. they were actually asleep! On Thursday morning the children woke up and were allowed downstairs at 7.30 am they waited in the sitting room for breakfast to be ready. At 8 am they had their breakfast in the dining room which was cereal followed by bacon, beans and toast. It was then time to take part in their next activity. 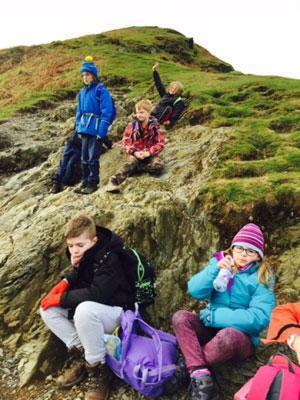 They had packed lunches in the dining room at lunch time and then went back out to complete their final activity of the day before their evening meal and night activities. A very popular activity was the Canoe Rafting, racing across the lake to see who was first to kiss the fortune tree, the weather really made the views across Derwent Water very beautiful. 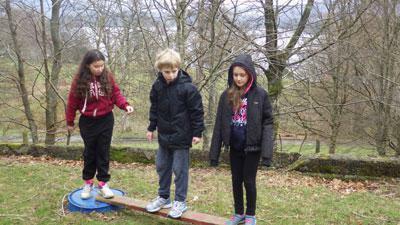 Also the children seemed to enjoy the Ghyll Scrambling especially jumping in the water in their wet suits. 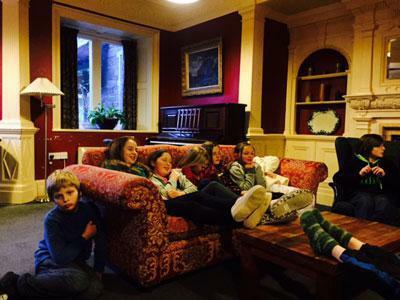 It’s safe to say everyone enjoyed their residential it was great to see the children from all three schools socialising, making new friends and being very independent young people.